SEASIDE, Ca., January 5, 2018 – CSUMB President Eduardo M. Ochoa has joined a collective effort of distinguished higher education leaders from across the nation to improve how colleges and universities address immigration-related matters affecting their campuses. 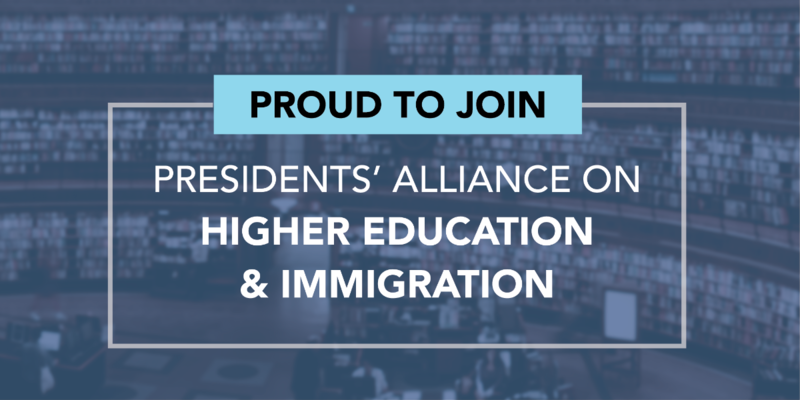 The Presidents’ Alliance on Higher Education and Immigration is comprised of leadership from public and private universities and university systems, liberal arts colleges and community colleges representing hundreds of thousands of students, faculty and staff. It's the right and the smart thing to do."